Victoria' s hit music station is getting a makeover. iHeartRadio Canada announced Friday the launch of 107.3 Virgin Radio in B.C. 's Capital. The radio station sports a new look and a new morning show anchored by Brittany King, who joins Virgin from 107.3 KOOL FM, and Chris Palliser, who comes from 94.5 Virgin Radio in Vancouver. Brittany and Chris will wake up with Victoria weekdays from 5:30-10 a.m. starting Monday, Feb. 11. For Chris, it's a return to the place he grew up. Along with playing today's most current music, Virgin Mornings with Brittany and Chris will feature music, trending news and exclusive prizes – including the highly popular Phrase That Pays contest, where listeners can instantly win $500 and tickets to some of the hottest concerts in B.C. Visit 107.3 Virgin Radio at its new website, or on Twitter, Facebook or Instagram. 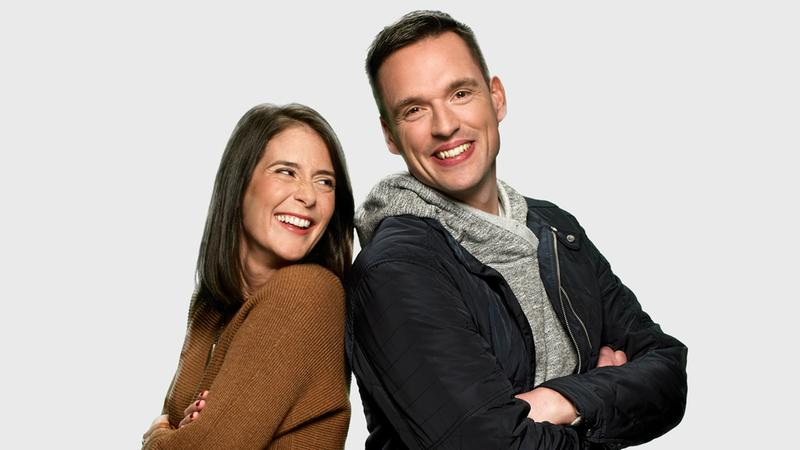 Brittany King and Chris Palliser were announced as the new morning show hosts of 107.3 Virgin Victoria, Friday, Feb. 8, 2019.